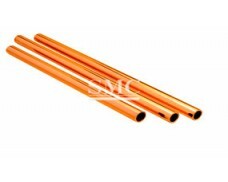 Shanghai Metal Corporation is a leading Copper Clad Aluminum Tube (CCA Tube for Radio Frequency Cable) manufacturer and supplier. 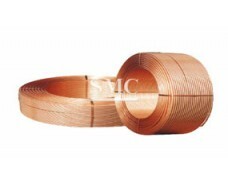 The copper clad aluminum wire adopts advanced cladding welding manufacturing technology, and the high-quality copper tape is concentrically coated on the outer surface of the core wire such as aluminum rod or steel wire, and forms a solid atomic metallurgy between the copper layer and the core wire. Combine. 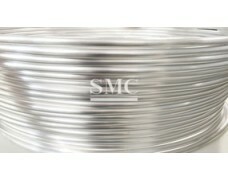 Combining two different metal materials into an inseparable whole can be drawn and annealed like a single wire. 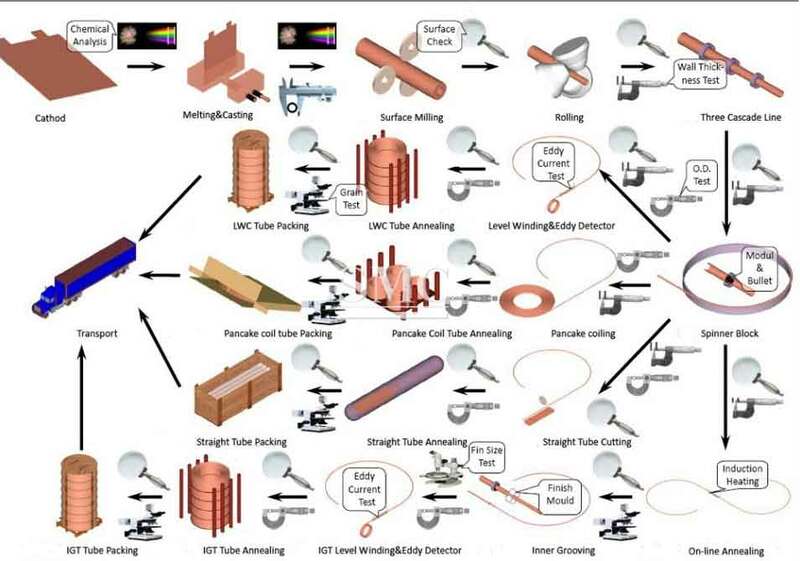 During the drawing process, copper and aluminum are reduced in proportion, and the volume ratio of the copper layer remains relatively unchanged. 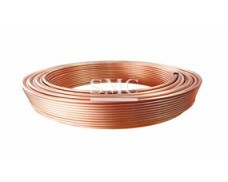 If you want to know more about our copper products or Copper Clad Aluminum Tube (CCA Tube for Radio Frequency Cable) price please feel free to contact us, we will reply you within 24 hours. 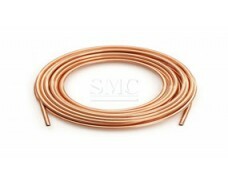 6) Copper Clad Aluminum Tube for Inner conductor of RF cable, etc. 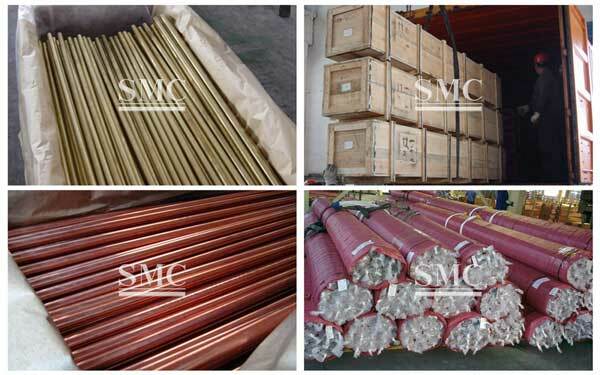 The outer layer of CCA tube is T2 or C1100 copper, and the inner layer is antirust 3003 Aluminum Alloy, and the middle layer is the Metallurgy integrated Layer of copper and Aluminum. 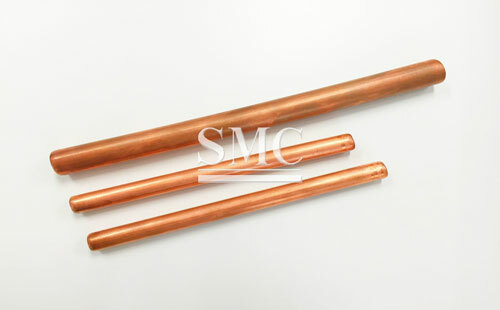 Thermal Conductivity for Copper is about 380 W/m*C, compared to 237 W/m*C for Aluminum, which is only approximately 60% of Copper thermal Conductivity. 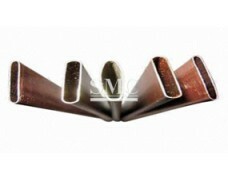 As aluminum is the material for inner tube, it is better materials to preserve heat than copper. The weight ratio between copper and aluminum is approximately 55:45, and volume ratio between copper and aluminum is approximately 25:75, with density of 4.3. 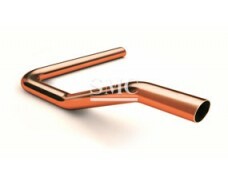 Compared to copper tubes, it can save up to 45% of the cost. 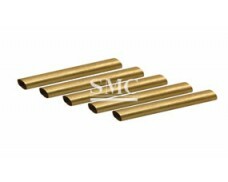 The tensile strength is between 150 and 190MPa, elongation is between 35% and 40%. Pressure resistance level is above 15MPa. With unique two-layer structure design it has very strong pressure resistance, making it reliable and safer to use.